Ten tips for establishing and maintaining social media campaigns. Whether you’re looking for a long lost family member or a missing and endangered loved one, there is no equal to the power of social media. At Morse Investigations, we’ve had great success utilizing social media campaigns for reunions, cold cases, and missing persons cases. It’s a process we take quite seriously. 1) Provide good information. Remember, your campaign will likely be seen across the country. On the poster, be sure to include a complete city, state, and full phone numbers. We regularly receive “posters” that are screen shots of a missing teen and comments like, “Missing in Richmond, call or message me if you see her.” Did you know there are 26 cities called Richmond in the US? Which leads to number 2. 2) Before you start, set up a unique e-mail, phone number, and page for the search. This way, you can keep everyone informed on the case status. When it’s over, you can set up auto-replies and postings to let the world at large know the person has been found. Missing persons clearing houses and search groups “follow” these pages and will continue to forward your poster and information until they are told differently. 3) Hold back information and only share what’s necessary. This will aid you in weeding out false leads and keep speculation at bay. If you’ve ever followed a missing person case, you’ve probably wondered why more information hasn’t been put out? Potential witnesses, that were in a specific place at the same time as a missing person, might need to see photos of a person, vehicle, or clothing. There’s no witness pool that needs to know how much money was in a person’s wallet or what medication they are on. This leads to our next tip. 4) You will get a lot of questions from armchair detectives wanting to know specifics and biographical information. Many are apt googlers, and will bombard you with readily available information that you already have. Speak with detectives and other parties about the best strategy for handling these. Usually, a polite “thank you for your interest, more information will be put out when it is deemed appropriate” is a good response. 5) Be very clear about the circumstance of your search. 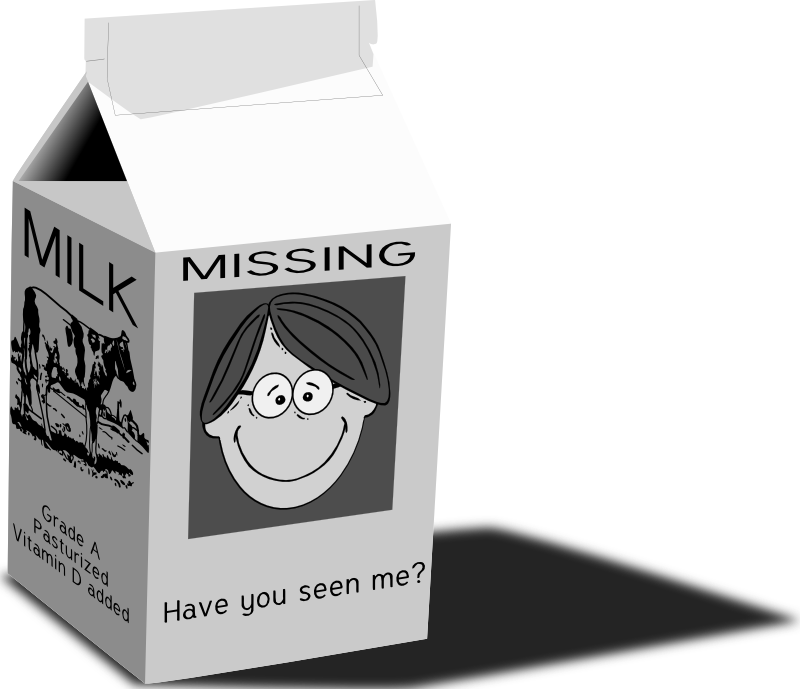 If you are trying to reunite with a long lost friend or family member that has not been reported missing to police, say so repeatedly. Sometimes, people don’t read the whole poster and will call in tips to yours or their own police. 6) It is inevitable that some people will call police or tip hotlines for non-police related searches. You may want to speak to your local police public relations officer before you start your campaign. This way, they can make a note of it, before those calls come in. If the police are involved in the search, it is twice as important that they be aware of the media campaign. Not all jurisdictions will approve or encourage families to pursue social media campaigns, so it’s helpful to work with reputable organizations that know what they’re doing and have a background working in unison with authorities. 7) Consider using a third party to handle social media and tips. A well circulated posting can reach thousands in a few hours and millions within days. Untried media managers may be overwhelmed by the influx of messages, calls, and postings. It is common for onlookers to “troll” or introduce speculation and allegations that are upsetting to loved ones, and damaging to the campaign. An experienced media manager will: review all postings and calls, utilize paid features to reach specific people and geographic regions, forward relevant information to police or family, reply to commenters, and delete/block people who are disruptive. 8) Whether you utilize a media manager or not, the family and law enforcement should be united in the effort and agree early on how to handle various situations that will inevitably come up. Whether it’s handling abusive comments, disseminating information, or talking to the media, everyone should agree on a plan. 9) Keep all drama, infighting, speculation, and suspicions out of the public eye. In many of these cases, as time passes, nerves will grate and things may get heated. If need be, utilize counselors and other resources to help keep the group dynamic functional and productive. Visible division will only hurt your search and distract your followers from the objective. This is not limited to family. Friends and members of the community might react poorly too. Reacting in kind is unproductive. See number 8. 10) Crowd funding is risky. If the need for funds arises (rewards, hiring investigators, or [God forbid] burials) consider asking a church or other reputable entity to make the appeal and manage the funds. Appeals from direct family members are often quite compelling at first, but in time, speculation can make followers and supporters question how the funds are used. We absolutely cannot argue the success and value of social media in our own missing persons and cold case investigations. Social media campaigns have been an invaluable part of reuniting families, generating tips, and raising awareness. BUT, be cautious. As investigators, we always advise the least invasive approach, by the most qualified persons, possible. When locating long lost loved ones, consider starting with a private appeal to family members and utilizing services of specially trained investigators. Once information is put out on the internet, it is there forever. It is possible that the person you are seeking does not want to be found, or may not be particularly glad that their business has been put on blast. Conversely, in cases of missing and endangered persons, how quickly a search is started, and how well managed the campaign is, will influence the outcome. If you have additional questions about strategies to locate loved ones or for help managing a media campaign, contact Morse Investigation Services at 1-800-823-6440 or visit our website at morsepi.com. We have investigators and offices throughout Virginia waiting to take your call. We’ve come a long way from milk cartons and post office fliers.